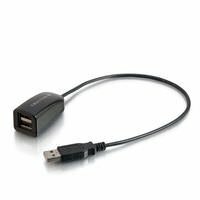 Easily add an additional USB port to your PC or laptop! This hub connects up to 2 USB 2.0 devices with just one cable. Two USB A female ports will receive your mice, printers, hubs, or other USB devices without them being cluttered together. Unlike traditional USB hubs, this cable can slide behind your desk and out of the way, or connect on the front of a desktop so you would not need to reach in the back of the PC. With its small form factor it eliminates the clutter associated with traditional hubs, and lets you spread out your devices. Bus-powered, so it requires no external power adapters. 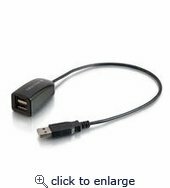 Compliant with USB 2.0 specifications; compatible with both PCs and Macs. Learn more about how this C2G product and other C2G products can help you adapt your Chromebook to meet your needs by reading our blog post, Getting the most from your Chromebook, visiting our Chromebook Adapters New Technology page, exploring our Chromebook Solutions page, or checking out our Chromebook Adapters product category.